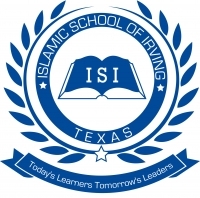 The Islamic Center of Irving welcomes applications for the position of Imam. Located in the heart of Dallas/Fort Worth area, one of the fastest growing metro areas in North America, we are one of the largest centers in the nation, serving a diverse, and vibrant community with several thousand attendees. Bachelor's degree or higher in Islamic Studies or related field from an Islamic University. Fluency in Arabic and English. Other languages is a plus. Must be Haafidh of the Qur'an. Must have prior experience as an Imam at an established masjid or center in the US. Must have experience conducting khawaatir, classes and workshops to benefit community members. Must have experience interacting with various community segments like youth, adults, seniors, new Muslims, etc. Must have knowledge of various rulings related to Salaah, including differences in scholarly opinions. Desirable - Knowledge of multiple authentic traditions (riwayaat) of recitation. Desirable - Ijaazah in Qur'anic recitation. Desirable - Islamic knowledge in diverse areas. Serve in the capacity of Imam, in charge of all prayer services. Train, mentor and develop huffaadh to lead and carry out prayer responsibilities. Provide general services like nikaah, consulting and education for all community members. Regularly conduct classes and workshops to educate all sections of the community in specialized areas and acts of worship. Conduct workshops and classes to focus on specific sections of the community like new Muslims, seniors, youth, etc. Collaborate with other Imams and teams at ICI to collectively serve the needs of the community at large.